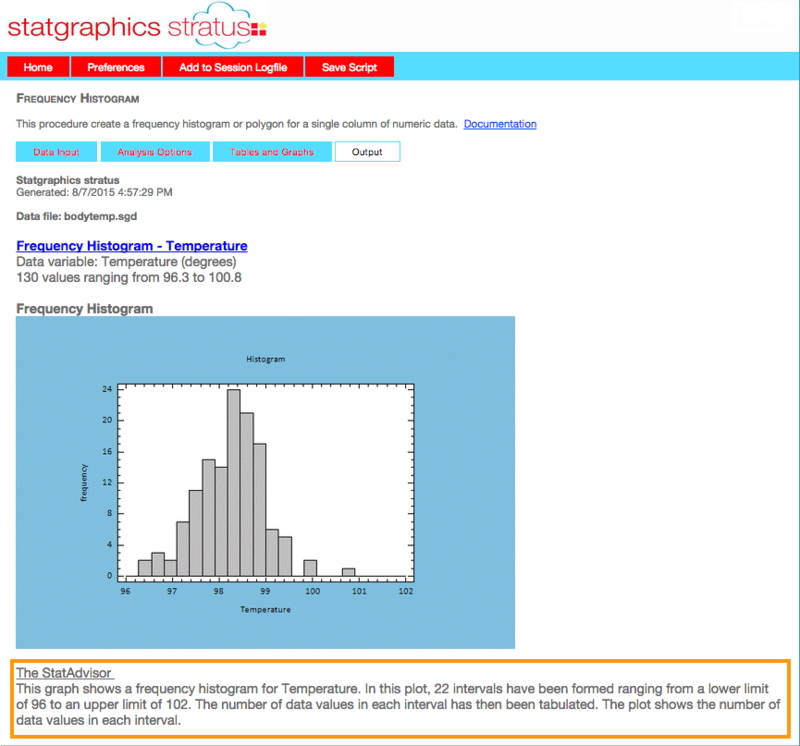 Statgraphics stratus is a version of Statgraphics that runs within a web browser as online statistics software. You can enter data directly into the data editor or read data from text files, Excel files, or other common formats to perform online statistical analysis. The calculations are performed remotely on a web server and the results are returned to your browser as HTML with imbedded graphics images. Nothing to download or install. This online statistical analysis program runs within most web browsers. It works as statistical software for Mac, PC, iPad, tablet computer, or any device with a web browser. Data may be entered directly into the STATGRAPHICS online statistics software datasheet, copied and pasted using your system clipboard, or read from text, XML, or Excel files. All online statistical analysis calculations are performed by STATGRAPHICS .Net Web Services running on our servers or yours. Output is returned as HTML with graphs imbedded as GIF images. You can copy all output to local applications using your system clipboard. You may generate output in English, French, German, Italian or Spanish. Analyses may be saved as XML scripts and rerun at a later date. A selection of interactive STATLETS® are also provided for dynamic data visualization. You can access STATGRAPHICS stratus online statistics software either as a guest or as a paid subscriber. Site licenses for online statistical analysis are also available for installing the product on one of your servers. Need more information about our online statistics software? Speak with a Statgraphics stratus expert today to learn about online statistical analysis! You may download the User Guide in PDF format.